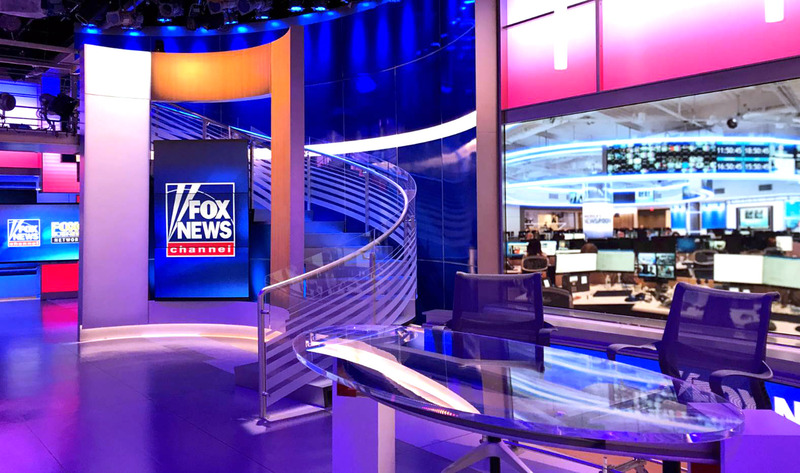 First on NewscastStudio: Fox News debuted its sprawling new Studio J Monday, June 4, 2018, a project lead by Peter Blangiforti, the network’s senior vice president for broadcast and media technology, who spoke exclusively with NewscastStudio, and the design team at Clickspring Design. “We continually update and invest in our studios, set technology and show looks. Studio J has always been an important studio for many show productions and special events. It is also one of our largest studios. We now have 14 studios between our New York Headquarters, D.C. and L.A. bureaus, so there is always a studio project in the works,” said Blangiforti. Studio J was taken offline in March 2018 so the new set could be installed. At that time, one of the network’s most prominent shows, “Hannity,” moved to Studio F, while “America’s Newsroom” moved to the small studio next to the network’s renovated newsroom. Studio J has been designed with a focus on flexibility to support a range of shows and programming, with multiple setups for different anchor, correspondent and guest positions, explained Blangiforti. Although Hannity is the first to take the new space for a spin, plans call for “Fox & Friends First,” “The Daily Briefing” and other programming to eventually move into the space. Wide view of Studio J. Photos courtesy of Fox News. “We worked closely with Hannity’s show team to create an environment to complement his show format and interview style. 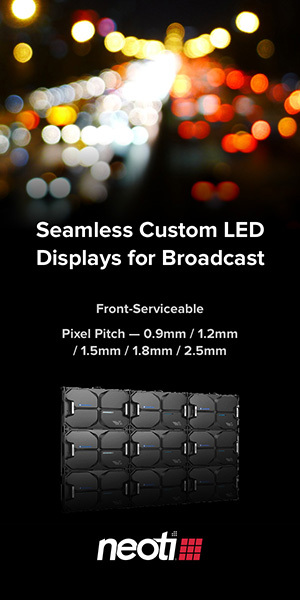 We paid close attention to Hannity’s desk and large format video walls to enhance the show interview experience, monologue and presentation,” said Blangiforti. The new Studio J shares visual cues from many of the network’s other sets, including its larger cousin Studio F and the new newsroom which, thanks to the numerous video walls in the space, can make appearances as virtual set extensions, tying together the look and feel of the spaces.